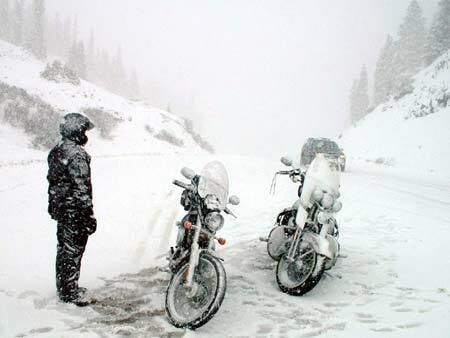 May Motorcycle Riding in Northwestern Ontario Can Be Tricky! Apparently the nice weather that we had in April was just a tease. 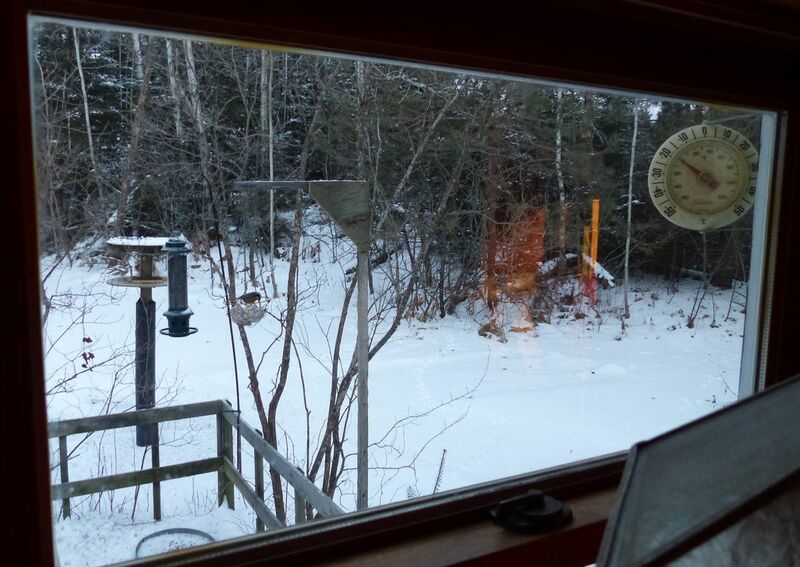 The temperature is now varying between -5C and +10C, and we even had some flurries the other day. That's put a bit of a damper on two-wheel riding around Thunder Bay. That's not to say that there haven't been a few guys out on their bikes in town, but you've really got to watch for icy roads and sandy intersections. Dropping your bike on a dirty corner will put a real damper on your day. HEY - I Finally Got My New Bike! 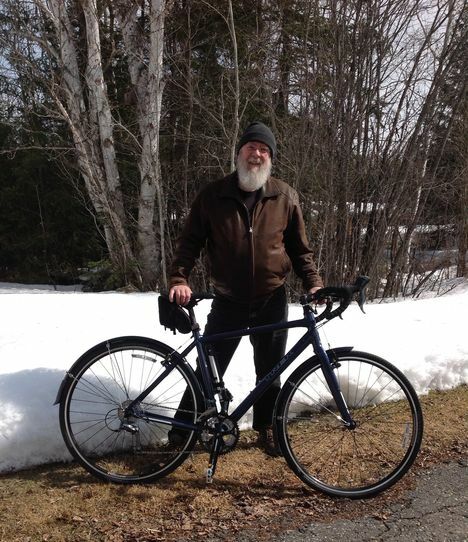 I've been waffling for over two years on what new motorcycle I'd like to buy (or could afford to buy - I'm an old retired geezer now you know) so I broke down the other day and bought myself a bicycle. Hey - it still has two wheels.... Just not the kind of horsepower that I'd prefer to have. But my doctor says it will be good for me. APPARENTLY I need to get more exercise. Watching curling on TV and walking back and forth to the fridge for beer doesn't count. Since I retired a year and a half ago I've not been as active as when I was working, and I've gained a bit of weight. That isn't a good thing apparently since it has driven up my blood pressure and raised my bad cholesterol levels. For the first time in my life I've actually had to go on medications to help control them... and that's not a good thing. SO, I'm hoping that I can get a bit more active this summer riding around on the bicycle to get a little more exercise. I just hope that I don't get run over by the crazy car and truck drivers around here. There are some real psychos with drivers licenses. I'm also thinking that maybe we should start another 'Old Geezers Bike Club' for all of us that need to pedal ourselves around to keep fit. I wonder what style of spandex outfits would look good on us? Bright yellows and fluorescent greens??? It was touch and go there for a while, I wasn't sure if I would actually be able to outsmart one of those things. They're wily little creatures that only come out at night. This particular porcupine had taken up residence under my workshop and was coming out at night and eating the bark off of my red pine trees. I couldn't let that continue because a) he would eventually kill the trees, and b) I like my red pine trees. So, with a little bit of ingenuity and a live trap I managed to vanquish him and relocate him to a new home far away from mine. So - who's smarter now Mr. 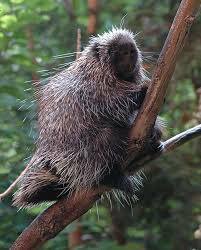 Porcupine??? Eh? 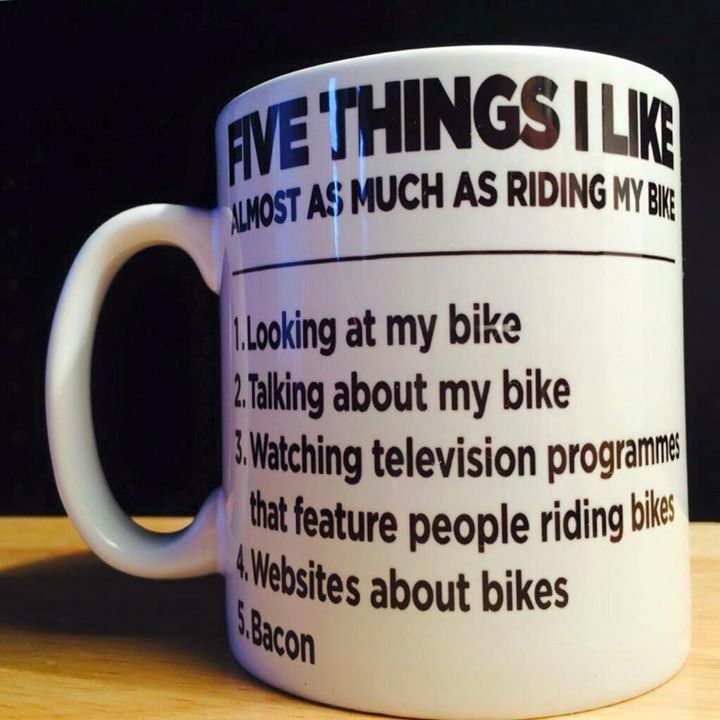 We need to find a case of these mugs for all of our friends! You can thank our friend Bob Q. for this picture. I'm not sure where he found it but it just about says it all. Every now and then even I have to go out to the shed to admire the dirty old beater that I ride. Sometimes it's to think about adding some new gizmo or gadget or new part or new lights... it doesn't matter. Or just to admire the marvel of engineering that bikes are and think about maybe actually washing it one day. But you don't want to get carried away with those kinds of thoughts! 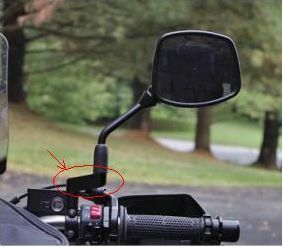 I don't know about you, but I've been looking for something like this for years... SW-Motech is building these quality mirror wideners for a wide variety of bikes and I'm hoping that there is a pair that will fit my bike. As one guy said I like looking at my shoulders in my rear view mirrors just as much as the next person, but wouldn't it be nice to see more of the actual road behind you? These mirror wideners will do just that for you. With a price range around $80.00 a set they're a little pricy, but they are a quality item, CNC-machined from billet aluminum and black powder-coated. Each kit comes with the two extenders, two hex bolts, two black spacers to raise the extenders and a pair of plastic caps to finish off the hex bolts. Looking out our back window it's just about -20 C this morning. A couple of days ago it was -30C overnight - we don't need much of that! That's too cold for me. We don't have much snow yet either as you can see, not like those poor folks down in Buffalo. I've seen a couple of bad snow storms over the years but nothing that would compare with what those people are having to deal with. Snow up to the top of your back door and the threat of having your roof collapse on you would not be much fun. But according to all of the reports Christmas is on its way! We have almost all of our shopping done finally, just a few odds and ends to still pick up but not much. Now we have to decide on the menu for our Christmas dinner. That's not usually much of a chore as we all know that everything goes well with a big roasted turkey (and that's not me I'm talking about). I hope your holiday plans all come together for you and that a big turkey is central to your plans as well! Jethro Tull Concert Was Awesome! A couple of weeks ago my friend Bruce and I headed down to Minneapolis to the State Theatre to catch this years Jethro Tull concert. And it was amazing - as usual. I think that this was my 6th Tull concert and every one of them has been spectacular. 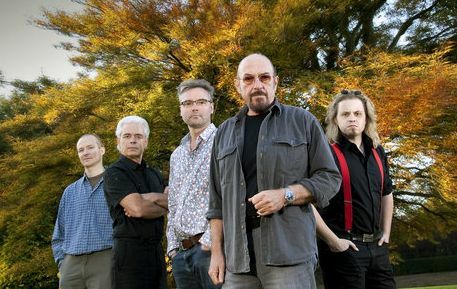 To keep their concerts fresh Ian Anderson changes up the song list every year. 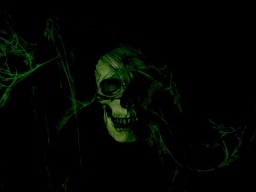 The first set this year was a selection of songs from their brand new album: Homo Erraticus. This is another of Ian Andersons concept albums and it explores the raving and rambling writings of one Ernest "Teddy" Parritt (who was apparently a very strange and disturbed person). But as usual the musical genius that Ian Anderson is managed to create yet another amazing album. Following the introduction of the new album the band played a selection of the 'Best of Jethro Tull' through their 45 year of performing and record producing and ended the night's performance with thundering renditions of Aqualung and Locomotive Breath. . . . It was AMAZING !!! 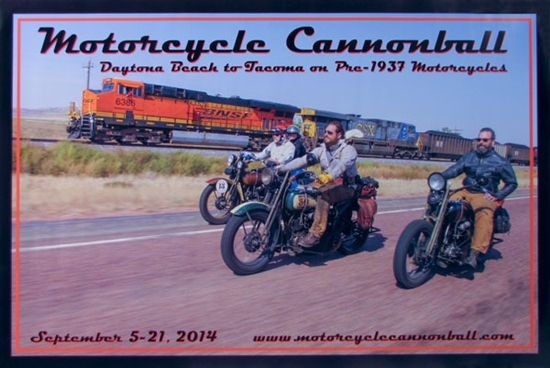 The 2014 Coast-to-Coast Motorcycle Cannonball Run Has Been Completed! The historic Cannonball Endurance Run finished on Sept. 21st in Tacoma, Washington. The 17 day ride across 3,938 miles from Daytona Beach, Florida would be grueling on a modern bike, but this years intrepid bikers were all riding Pre-1937 motorcycles of all makes. Of the nearly 100 riders that started the race only 32 of them managed to complete every mile of the the journey and 24 of them managed to achieve a perfect score for the race by making every one of the daily checkpoints on time. "It's quite a challenge with all the elements and the weather," said Richard McMaken, one of the event's participants who was riding a 1915 bike. The ride being a "challenge" might be an understatement as riders had to deal with numerous breakdowns which included several blown engines and overnight rebuilds. Here comes a new wave of distracted drivers! 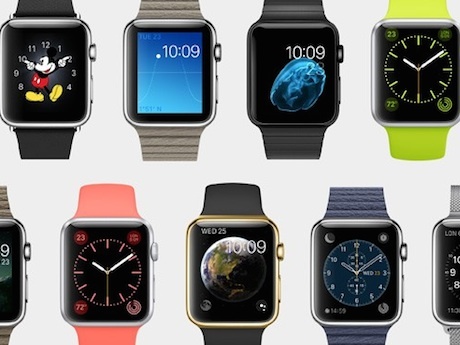 The new Apple Watch or Smartwatch will be arriving in stores soon and our roads will become a little bit more dangerous - especially for motorcycle riders. It's still bad enough now with distracted drivers talking on cell phones and texting while driving. You still see them every day that you're out on the road. This new "Smartwatch" promises to make these distracted drivers even more dangerous. Distracted drivers have become a major safety concern around the world and are responsible for an increasing number of serious crashes and fatalities every year. Laws banning the use of handheld mobile devices have had little effect in reducing the number of distracted drivers. If new technology is producing all of these devices that are making life more dangerous for everyone that is driving on our roads then new technology should be able to provide us an answer as to how to prevent distracted driving. Need A Waterproof Travel Bag? The German company Touratech has been a provider of high-quality, well-tested motorcycle accessories for many years. And this line of updated waterproof motorcycle luggage has been given a thorough test. 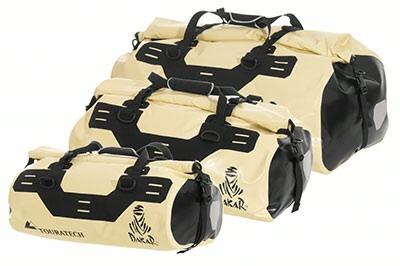 Not just "repurposed whitewater rafting gear" these new Adventure Dry Bags are specifically designed to withstand the rigours of hard-core motorcycle riding. They are made of polyurethane with welded seams and horizontal roll closures. The bags open wide and are backed by a stiffener to facilitate easy loading and come with nylon carrying handles. They come in three sizes and four different colors and start at about $150. If you need to keep your clothes dry while out on the road then these bags will definitely do the trick. Have you tried this stuff? I added their recommended quantity (it goes by tire size and whether you're running tubes or tubeless) to the tires on my bike this spring and have managed to put on about 2500 km so far to test it out. So far I like it. It seems to be doing exactly what it's designed to do. 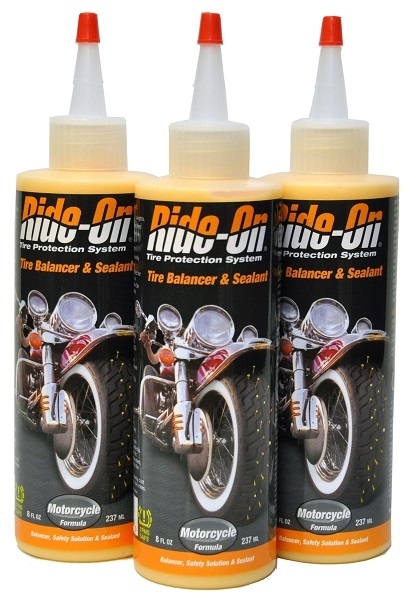 According to the bottle it is formulated for both high-speed (highway) and off-road motorcycles to seal most slow leaks and punctures in the contact patch of your tire, prevent flats, balance tire/wheel assemblies and extend tire life. Is it going to do all of that? I'm not sure, but my tires seem to be rolling smoother, so I'm guessing that it has helped balance them, and the tire pressure has been stable all summer. Has anyone else tried this stuff? I'd be interested in hearing what you think about it. I'm also hoping to get a few more miles on the bike to give this balancer/sealant a proper test. 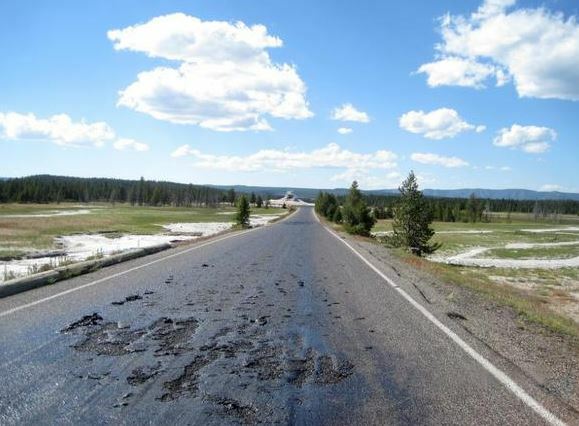 Here is something you don't see every day: One of the roads in Yellowstone Park has been closed due to serious damage caused by extreme heat coming up through the ground. The road is literally melting due to the heat. Yellowstone Park has long been known as a hot spot (sorry for the pun) for underground thermal activity and the park is full of geysers such as the famous Old Faithful along with others such as Great Fountain Geyser, White Dome Geyser and Firehole Lake. This new development has helped spark renewed rumors the the Yellowstone caldera, also known as the Yellowstone volcano or Yellowstone supervolcano, may be getting ready to erupt. If you're planning a trip to the park you'd better do it soon and get some pictures before the whole place goes up and takes out the states of Wyoming, South Dakota, Nebraska and Colorado. Do you ever have one of those moments of realization when your whole perception of reality is suddenly altered? How did that happen? I guess that I'd better get used to it as it certainly beats the alternative. Of course those pension checks that keep rolling in every month help take the sting out of growing older! And, as they say, we may be growing older - but that doesn't mean that we're going to grow up! So, as our good friend Red Green once said - STAY CRAZY ! A Complete Ban On Cell Phone Use By Drivers?! Wouldn't that be nice! And it may just happen. As the laws stand right now drivers are still allowed to use cell phones if they're operated by a Bluetooth / hands-free device. 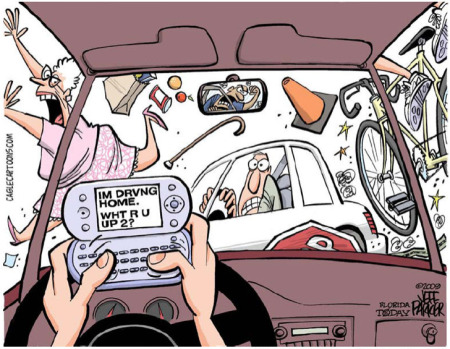 But that may just change in the future due to the ever-increasing number of accidents involving distracted driving. The National Road Security Commission in France is proposing a ban on ALL phone use while driving - period! Apparently the politicians there are studying the proposition to see if it could be made into a law. It could happen. France and many other cash-strapped European countries see drivers and motorcyclists as cash cows and currently take any opportunity that they can to fine them for almost any infraction that they can dream up. So this would be just one more way to gather huge amounts of cash for their coffers. Could it happen in North America? The answer to that is YES, and for those of us that are dodging distracted drivers on a daily basis I say it can't happen too soon! Here is a New Nikwax Product for Riders! Nikwax Visor Proof is a spray-on rain repellant that is supposed to be easy to apply and reportedly improves your vision while riding in wet weather by shedding water off of your visor. Does it work? I can't say as I haven't tried the product yet. But I've used plenty of other Nikwax waterproofing products over the years on my riding gear and boots and they work great.